OMG. I am literally way too excited about my latest jewelry acquisition. 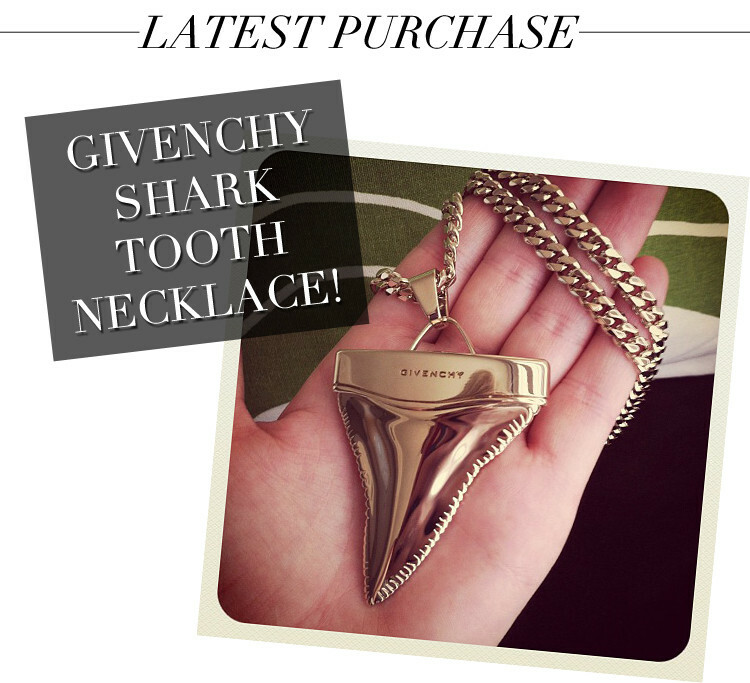 I thought I had missed the boat when this killer Givenchy shark tooth necklace sold out almost immediately on Matches Fashion. I was so sad I even tweeted about it. Well guys, social media paid off. During my run the next morning I noticed I received a tweet back from Matches saying they still had some left (not sure how that happened since they were sold out when I had last checked). I’m not joking when I say I ran straight home to buy it. I was so over my workout. And if you were wondering, yes, I am a fan of shark week. Get a similar version here and keep an eye out for more of these babies – they sell out at light speed!